This home sits on a half acre lot on a quiet street near all the downtown amenities. Beautifully updated kitchen with white cabinets, stainless appliances, a center island and eating area with a bay window. The current owner uses the formal dining room as a den which leads to the back deck. Great yard with lots of plantings, green house, raised vegetable beds, a saltwater pool with a pool house. The bedrooms and laundry are on the second floor. All has hardwood floors. The heating, roof, decking, hot water systems are all recent updates. 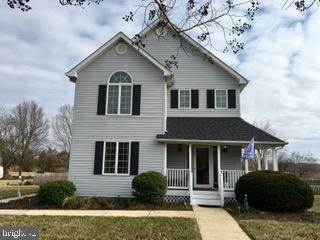 This home is move in ready. The current owner must find a home of her choice to ratify a contact. SchoolsClick map icons below to view information for schools near 315 Laurel St Easton, MD 21601.